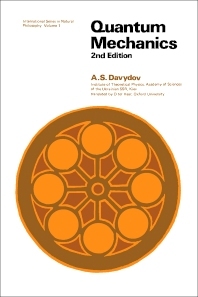 Quantum Mechanics, Second Edition discusses the fundamental concepts and governing principles of quantum mechanics. The title details the physical ideas and the mathematical formalism of the quantum theory of the non-relativistic and quasi-relativistic motion of a single particle in an external field. The text first covers the basic concepts, and then proceeds to tackling the change of quantum states in time. Next, the selection examines the connection between quantum mechanics and classical mechanics. The book also discusses the simplest applications of quantum mechanics, along with the elementary representation theory. The book will be most useful to students of physics who are studying quantum mechanics. The text will also serve expert quantum physicists as a reference.